You might know everything there is to know about Social Media marketing. But social media platforms are constantly evolving, and so should your knowledge and understanding of them. 2016 brings forth an exciting mix of new additions and improvements as top social media companies innovate, tweaks or even acquire new features and functionality. Facebook have been around for quite a while and is the platform with the most utility and feature among all. There’s not much to be added but what Facebook noticed, is that there are a number of features that’s a bit unpopular and underused. One of the hottest topic in 2015 is that Facebook is going to work on a “Dislike” button. While not exactly accurate, it’s a real project on Facebook’s side. The concern of Facebook team is more towards the awkwardness of Liking something that is not supposed to be Liked such as death of a loved ones or other unfortunate events. But there are no other way to show support other than the Like button. So finally Facebook introduces Reactions as a solution. In addition to the existing Like, users now have 6 additional ways to react to a post – Love, Haha, Yay, Wow, Sad and Angry. One of my first concern when I heard about reactions is that it will dilute the number of Likes a post have. But thankfully Facebook sorts out the reaction count quite nicely. The main Reaction count will display the total amount and when you click it it will show further details, breaking down the reactions by each category. While seemingly a trivial, cosmetic update, I think Reactions can be quite a useful tool to marketers. Now we can measure the audience feedback for our contents in a more accurate manner. Also it’s now easier to track which kind of content can better elicit which response. Turn it another way around, marketers can also easily observe which reaction goes viral the most. Be it from our own, or others’ contents. It’s hinted that Facebook might even add a bit vocalization when selecting the reactions in the future. The idea was pitched, but is currently constrained by the engineering. Did you remember when’s the last time you used the Notes feature on Facebook? I remember Notes as a sort of Window’s notepad, but on Facebook. It allows you to write stuff in plain text with a plain title, and that’s it. It was an okay feature back in the early 2000s but as the contents on the internet gets richer, nobody wants to read anything in plain text anymore. Recently Notes got a total overhaul. It now functions like a blog, something along the lines of Medium or LinkedIn Pulse. The new Facebook Notes functions like a blog. The most obvious change is that instead of plain notepad look, your notes are now displayed in a blog post format, complete with a cover photo, author name and portrait as well as date of publish. In the contents, you can now add images, headers, bullet points/lists, and more. So now marketers have a brand new channel to engage their audience. You can republish your blog posts on Facebook and retain important elements such as key images and links back to your own website. Small businesses that couldn’t afford complex websites can also now maximize their Facebook profile to advertise their business. Facebook Events are not as abandoned as Notes. But one thing for sure, users mostly limit the use only for personal events such as weddings or birthday parties. Facebook wants to expand the use of Events. Improvements have been added and the result is a dedicated event app similar to Eventbrite, Yelp or Evite. Public events – In addition to private events, Events now also cater to public events involving vast communities. Improved News Feed and Notification integration – You’ll start seeing more events in your News Feed and Notification similar to how Facebook’s Related Articles works. Invite Non-Facebook users – You can now invite non-Facebook users to your event using their email address. The recipient can respond through the email as well as get event updates. Change in overall tone of language – Events now have a more human and casual approach. For example “Decline” option is replaced by “Can’t Go”. This covers both the UI as well as notifications. Event discovery – You can browse events based on type of activity as well as location. Ticket buying – Guests can easily purchase ticket to events using the Find Tickets button. There are many ways marketers can take advantage of these new features. For example, you can easily invite your email list to your events (workshop, seminar etc) and get feedback at the same time. Facebook Search used to be pretty useless. They are only good if you’re looking for specific profile or group but not much else. The new Facebook Search is now able to tap into trending subjects and give more accurate suggestions based on current Facebook activities. You’ll get results both from public posts as well as personalized results from your own social circle, ranked and organized based on popularity. You’ll also find it easier to follow public conversations on a topic. Whether just checking what’s the public sentiment or joining in the discussion, it’s easier now that you can easily find the most active conversations. Ever since Twitter went public 3 years ago, they have been more and more aggressive at promoting their ads program – Twitter for Business. It seems like Twitter is now ready to take the highly Popular Social Media platform to a whole new level. Now Twitter have grown to be a serious platform for marketers to promote their business. So what’s new in Twitter for 2016? When Twitter first started, Tweets are usually sent via SMS. SMS have a limit of 160 characters before splitting it into two SMSes. 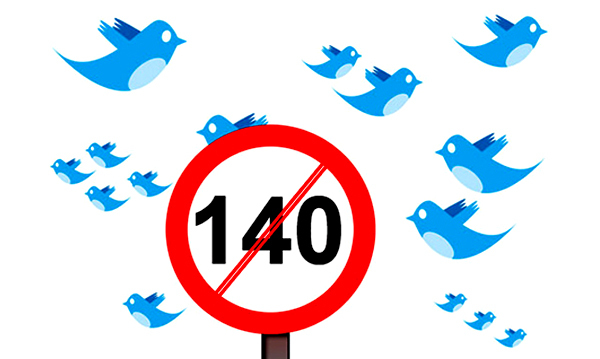 Twitter takes this limitation and limit Tweets to 140 characters (20 characters is saved for username) and the rest is history. What started off as a technological limitation have now become Twitter’s identity and attraction. But recently Twitter considered to increase the limit up to 10,000 characters. In order to avoid clutter, Twitter plan to display the same amount of characters on the feed. Longer Tweets can then be expanded. This opens up a lot of opportunities as marketers can fit more contents on each Tweet. There are no official release dates yet but it’s expected to roll out sometime this year. Twitter gets creative with ads in order to appeal to marketers. One way of doing this is by introducing conversational ads – Ads that allows interaction with consumers. It works by displaying the ads in users’ timeline along with a call-to-action button for users to compose a Tweet that already contain a brand’s campaign hashtag. 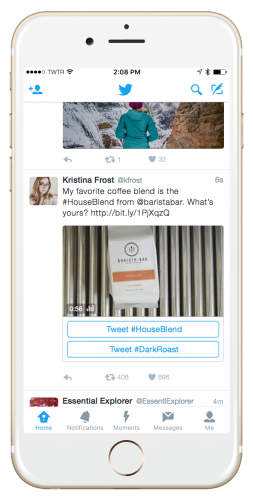 Twitter claims the new conversational ads will result in improved user engagement and higher return of investment. One thing for sure, a two-way interaction will surely perform better than a one dimensional ads. Twitter allows user to create polls starting from late 2015. But more recently, Twitter started to experiment with a new type of polls with up to four options instead of just two. While already available to select users, Twitter haven’t yet confirmed on an implementation date. In case you missed it, late last year Twitter removed share counts on its official embeddable Twitter buttons. It also discontinued the Twitter API that provided that information to various plugins and third party services that were showing Twitter share counts. This means you can no longer show the amount of Tweets your blog posts get on your website. In some cases, it can even disrupt the total amount social shares, making it impossible to display them because widgets are unable to retrieve the Tweet count. There are few ways to deal with this. The official solution is a paid service from Gnip, Twitter data company. You can retain Tweet Count by paying a fee of at least $500 per month. Quite a hefty sum if you ask me. There are some free alternative solutions such as by using OpenShareCount but it can be quite complicated unless you have the technical skills needed to implement the API. Mostly known for it’s professional crowd and B2B-oriented features, LinkedIn recently added more functionality to better target the niche. Pulse started life as a news aggregator app that LinkedIn eventually bought and implemented into its social channel. LinkedIn Pulse is an incredible feature for content marketers as it provides them with a place to share and publish content and helps improve the chances of increasing exposure and building a reputation. Content that performs well is featured on the daily Top Posts, thereby providing even more exposure. LinkedIn users can dismiss stories that they don’t like on Pulse or they can even save content to read later. Additionally, they can follow authors in order to be notified of new content written by writers they like as well as recommend articles they like. Groups is a staple feature of most popular social media, so LinkedIn recently have taken steps to improve their Groups function in order to make it stand out of the crowd. Improved posting @ Conversations – Posting in groups are now called creating a conversation. Make no mistake. It’s not merely a name change – you can now add images and mention other members when creating conversations. Conversations are private only to group members but members can invite anyone within their network to join in the conversation. Highlights Page – Upon visiting the Groups page, LinkedIn will display the top conversations gathered from all of the groups you’re a member of to form a personalized feed. Better Group Discovery – Instead of having to manually look for groups to join, LinkedIn now sports a new way of suggesting groups based on you profile which is great! Improved UI – The overall look and feel of the feature have also been revamped, both to simplify interactions as well as to be more pleasing to the eye. In my opinion these are great changes and it puts LinkedIn’s community feature on par with Google Plus Communities. Facebook have a lot to catch up in this department! 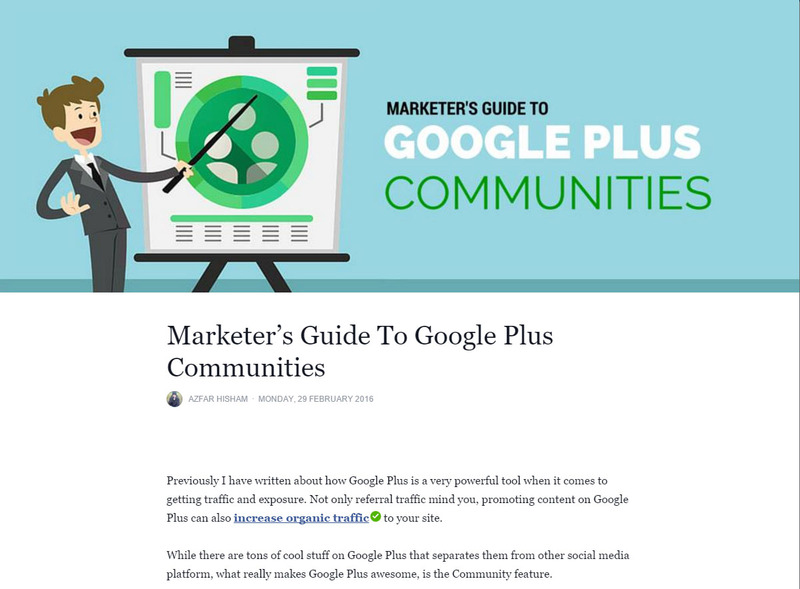 Google Plus might be taken lightly for some but for marketers and enthusiasts, they are a powerful platform. Google being Google, experiments a lot and observes the outcome. They identified their strengths and create improvements based on that. And so, Google redesign the Google Plus to better feature these two components. In addition to a bigger, more colorful UI, Google also focuses on interests (Communities and Collection) rather than just the user profile. 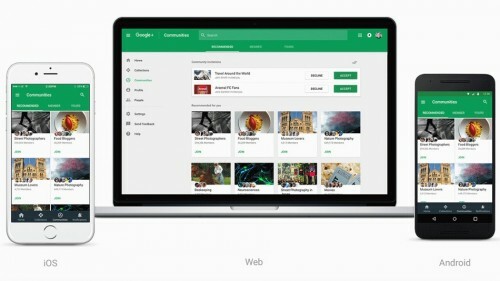 The new Google Plus is designed to look great across devices. The new Google Plus also makes it easier to post, search, connect, and keep up with great content in a fully redesigned home stream. It also loads faster and looks better on all devices. 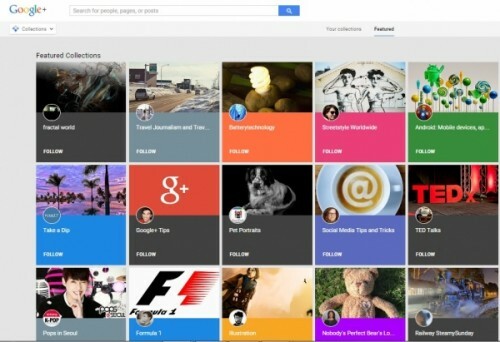 In a way related to the new Google Plus design, Collections are a relatively new feature that allows you to curate a stream of contents revolving a particular topic. It’s similar to Communities in a way, but you have only one contributor – the creator. It’s also almost like your own profile updates, only that you can segment them into categories. Marketers can make use of Collections to curate contents related to the field or niche they are working with. People can then follow certain Collections to get updates on a particular topic they’re interested in without having to follow the creator themself. 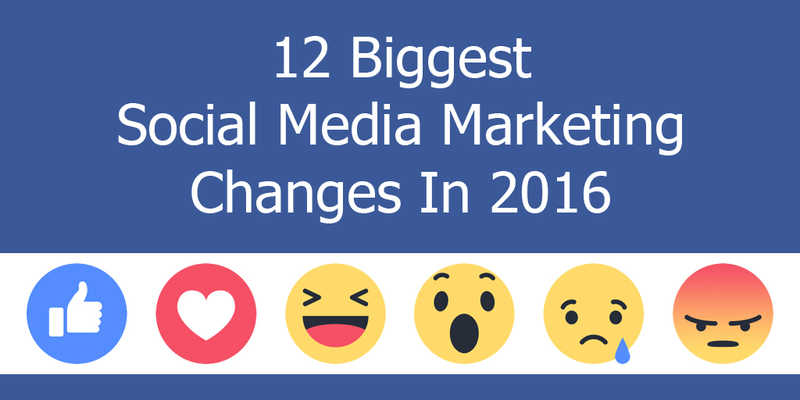 So these are basically the biggest changes for the top social media sites for 2016. It’s important to keep up-to-date with these changes in order to avoid missing out on cool new features that can potentially beef up your marketing strategy.